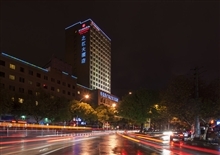 8 kilometers away from the airport; 3km away from the International Expo Center; in the city center;10 km away from the railway station. 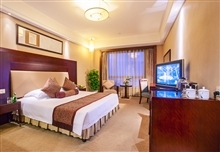 Yiwu Zhijiang Ramada Plaza Hotel is the United States Wyndham Hotel Group's Ramada international brand ultra-star hotel. 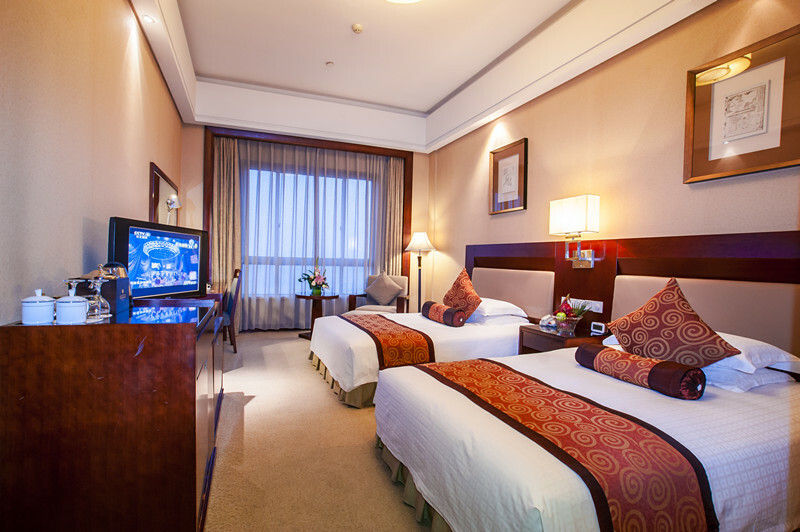 Located in the center of Yiwu city, the hotel has strategic location and convenient transportation. You can quickly and easily reach each business place. 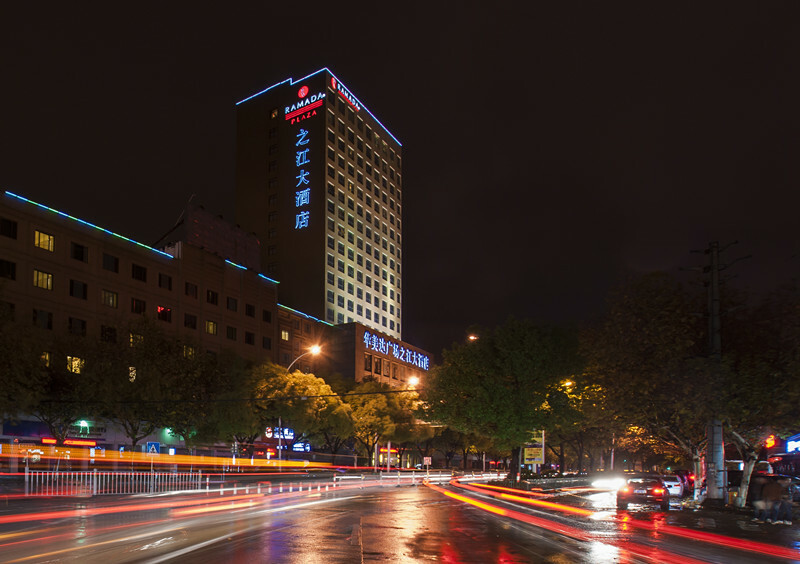 The hotel has 20 storeys, the building area is about 25,000 square meters, and the designed is integrating the essence of the concept of ancient culture and modern culture. 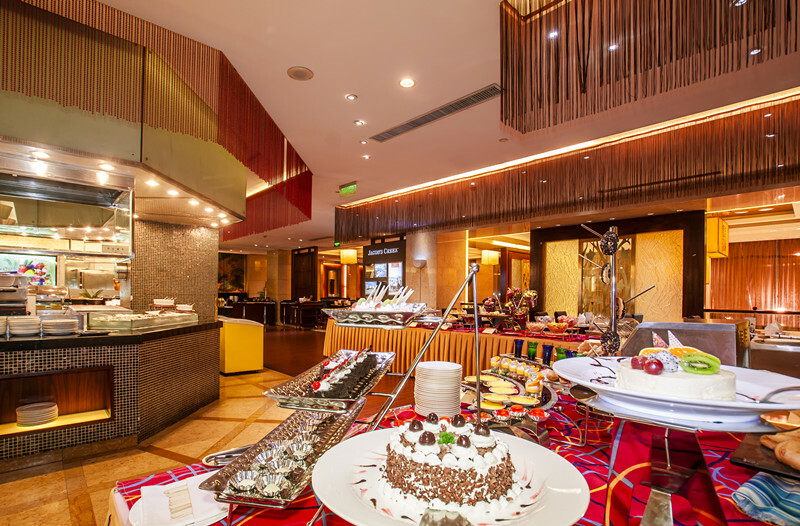 with elegant style, exquisite workmanship, beautifully renovated 260 various types of rooms, different styles of restaurants and bars (including Chinese and Western restaurants, VIP boxes, banquet hall, lobby bar, cafe, executive lounge), fully equipped fitness center, sauna, SPA and entertainment center, complete meeting and conference facilities, the hotel can meet different requirements of the guests. 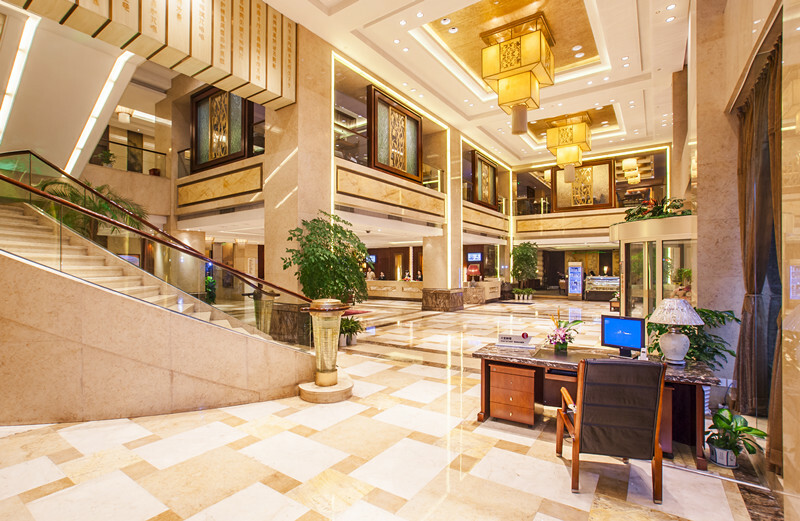 There are configuring luxurious executive floor, with large-screen LCD TVs, and high-speed broadband LCD computer and the world's leading "King koil" bed. The bathroom is equipped with shower, bath amenities, so that you can enjoy new concepts living. All rooms are equipped with high-speed broadband Internet, safe, hair dryer, ironing board and iron, coffee and tea buffet equipment, large-screen remote control color TV, digital TV and satellite TV reception channels. 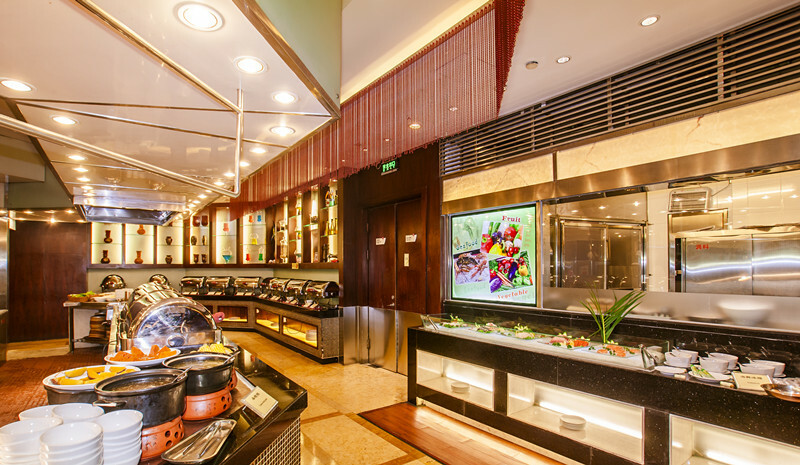 There is also a business center, boutique shopping, currency exchange, ticket center, laundry service, car rental and other services commissioned by the agency and other facilities. 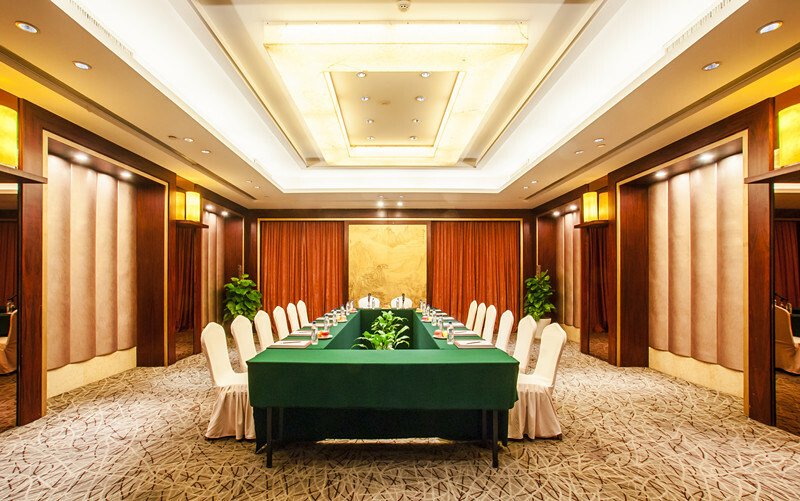 All these facilities provide tasteful business travelers an ideal choice.